Waking up in the morning and enjoying a piping hot, power shower, is one of life’s pleasures. Those few minutes of luxury help to energise and rinse away the stresses of daily life. That’s why understanding shower pressure and the different types of shower available, is just as important any other furnishing in your home. We’ll take you through everything you need to know. 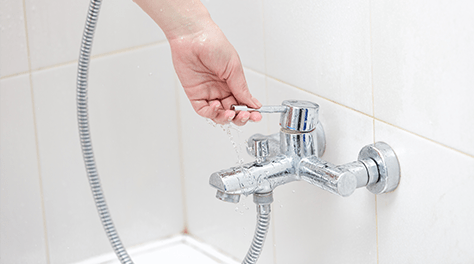 Water pressure means how forcefully water pumps through your pipework and into your bathroom. High water pressure will result in a powerful shower, whereas low water pressure will cause a feeble, trickling shower. Water pressure is measured in bars. The higher the bar, the stronger the pressure. How does shower pressure vary? 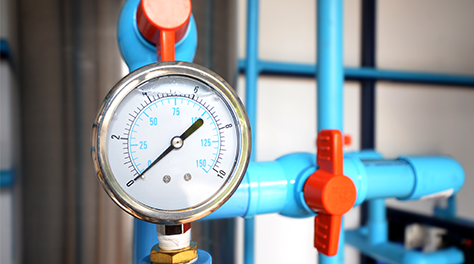 Water pressure varies from home to home, depending on where your water supply is situated. Simplistically speaking, if you live on the top of a hill, your water pressure is likely to be lower than those homes at the bottom of the valley. This is because gravity will slow down the water pumping from the reservoir, up the hill and into your home. In addition, water pressure can vary from room to room, and even at different times of the day. The 7 am pre-work rush may impact pressure in your area as demand is high. Different types of shower heads can also result in high and low water pressure. If you’re after a more powerful shower, chose a high pressure shower head which will push the water through in a strong and steady stream. An electric shower uses cold water directly from the mains, heating it instantly while the shower is running. Electric showers are highly economical as they heat water as needed, so there is no wastage. You won’t run out of hot water with an electric shower as it doesn’t rely on the hot water supply for the rest of the house. Handy if you have a large family or high water usage. 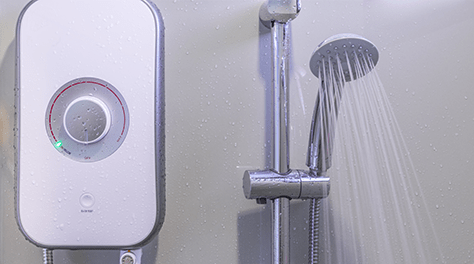 It’s worth noting that electric showers require a high capacity electrical supply and the higher kilowatt rating, the better the flow of water. Conventional showers come in a range of designs and work similarly to a mixer tap, taking a combination of hot and cold water to give you the perfect temperature. All of Barratt Homes conventional showers are fitted with a thermostatic valve to maintain a constant temperature, even if the pressure changes. For instance, if someone runs a hot tap or flushes a toilet elsewhere in the house. This prevents the risk of scalding or freezing and gives you peace of mind, especially if children are using the shower. When you buy your new build property, if your purchase is made early enough in the build phase, you may have upgrade options for your bathroom through Barratt Choices.